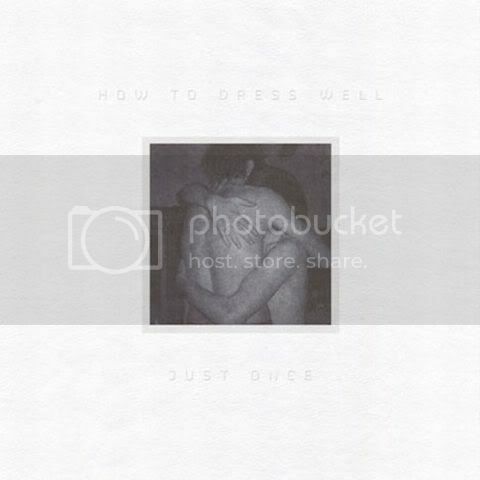 How To Dress Well's 'Orchestral Versions' EP Just Once produced at least a few gorgeous remixes, but none of them stuck with me as much as Elite Gymnastics' – themselves responsible for two of my favourite records of the year, Neu '92 & RUIN. The genius of EG's rework lies in the link it draws between HTDW's sparse, emotive take on r&b, and the similarly night bus atmospherics of UK dance music, particularly Jungle and UK Garage, transforming the original into an unlikely banger complete with piano-house stabs and breakbeats. Even if chillwave was effectively pronounced dead sometime midway through last year – or if, in my opinion anyway, it was always just a misguided way of lumping together a few of the earliest visible proponents of a recent tendency in underground music towards retro-maniacal electronic pop re-appropriations – CSLSX are a pretty good example of how the micro-genre might conceivably mature. Maximalist in just about every respect, this mysterious Philadelphia group hit it out of the park with this impossibly breezy luxury-disco gem. Another great band that were disappointingly unproductive this year, Greatest Hits' 'L-Train Girl' channels the spirit of Scritti Politti and is an utterly gleeful, sugar-rushed piece of neo-new-pop. Music this year seemed more impossible than ever to keep up with; no matter what corner of the internet you were living in, there were always a thousand other interesting things going on you couldn't keep tabs on. If this edit of a Brandy track is anything to go by it was also a really great year in UK bass music, which I unfortunately only heard in drips and drabs this year. Days is up there in my favourite albums of this year and 'Out Of Tune' really highlights what is so great about it: that lackadaisical guitar jangle, and just the right combination of effortless and evocative. Heavy summer-vibes indeed. Another 100% Silk highlight from this year, 'I'm Trying' mines darker rave zones and is less overtly retro than much of the rest of the catalogue. Oh and it's based around a vocal sample from Amerie's 'One Thing'. We Must Become the Pitiless Censors of Ourselves was one of the most distinctive and one of the best albums of the year. It's difficult to overstate how much I think a figure this uncompromising is needed in music right now, I mean, this is a guy who quotes Adorno when describing his own music: “authentic works are those that surrender themselves to the historical substance of their age without reservation and without the presumption of being superior to it”. Just another bleached-out, post-internet jammer from Sean Bowie in a year full of them. This one charts a path from hyperreal glam-funk to disco-bliss and back again. Such a clear highlight from Drake's actually pretty solid (despite its nearly 80 minute run-time) album Take Care, the strength of 'Over My Dead Body' lies in its unapologetic prettiness, that is before Drake comes in and ruins it (I mean, makes it even better? ).